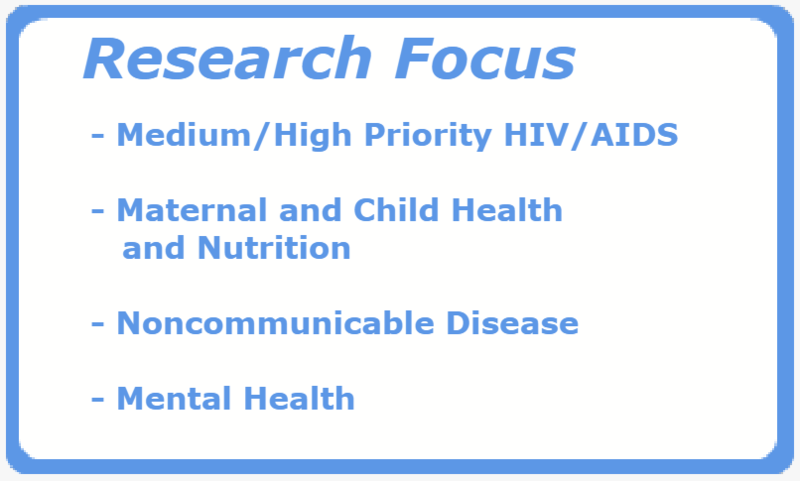 The Zambian Center for Applied Health Research and Development, Ltd. The Fogarty Global Health Training Program focuses on the sustainable development goals (SDGs) aim to improve health and wellbeing by 2030. Specifically, the expanded focus on this goal reflects the long-neglected population-level health issues that are forecasted to contribute to significant morbidity and mortality globally, and specifically in low- and middle income countreis (LMICs). The need for research and innovation on low-cost intervention in these regions is critical. The HBNU Fogarty Global Health Training Program offers opportunities in global health research training for pre- and post-doctoral candidates from the U.S. and lower-middle-income countries (LMICs), sponsored by the Fogarty International Center (FIC) and several collaborating Institutes and Centers at the National Institutes of Health (NIH). 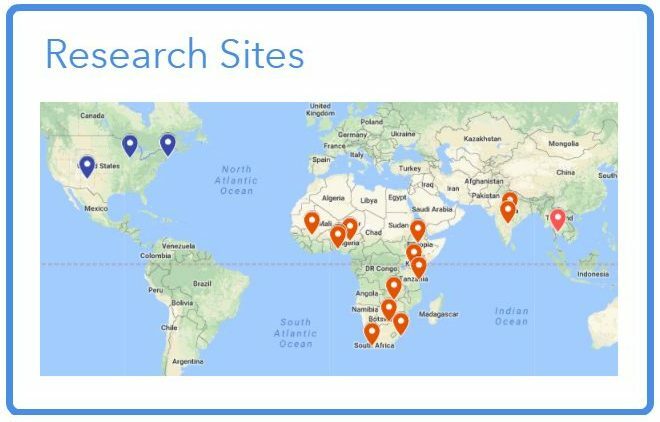 The program provides opportunities to generate a new cadre of global health researchers, educators, and professionals who will be prepared to address the new challenges in global health. 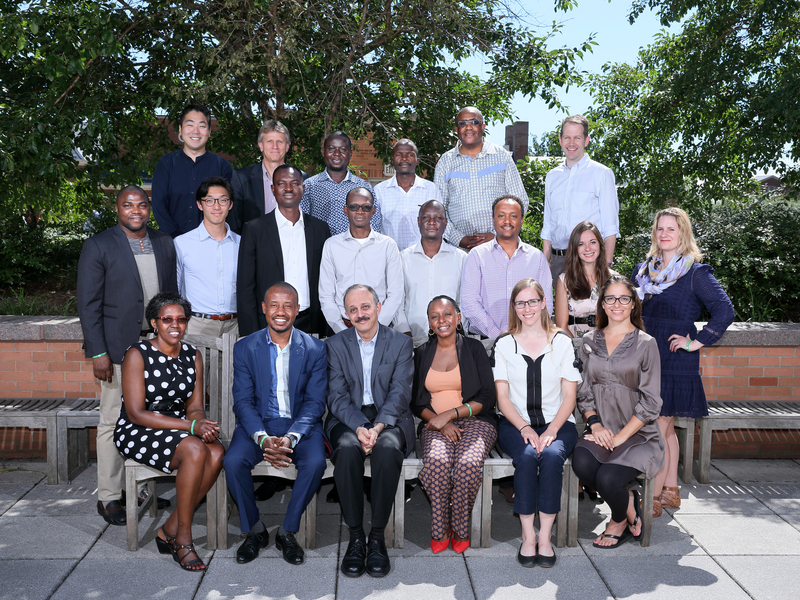 The program provides fellows with a 12-month, mentored research fellowship in innovative global health research to promote health equity for populations around the world. The fellowship is aimed towards: US doctoral students (PhD, DrPH, etc. ), professional students (MD, DDS, DVM, PharmD, Engineering etc.) and postdoctoral fellows, as well as foreign postdoctoral fellows from affiliated international sites in low- and middle-income countries (LMICs). 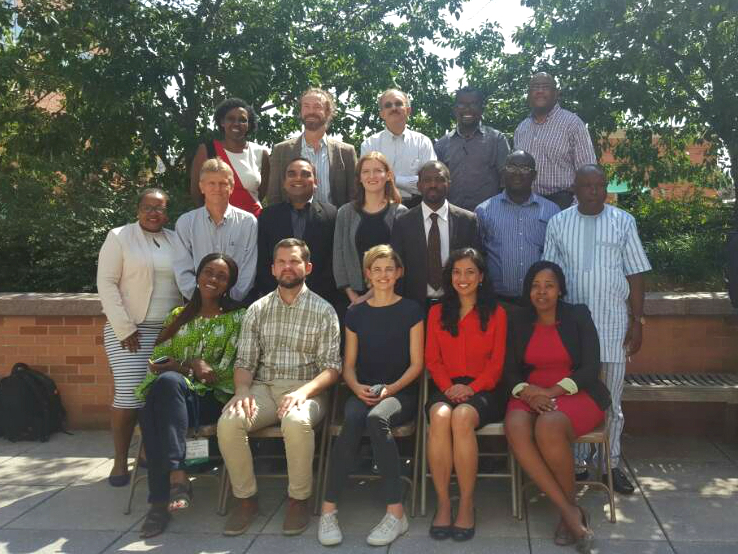 Eighteen training sites across thirteen countries in Africa and Asia are available in 2019-20 through the Harvard-BU-Northwestern-UNM Consortium (see image above). Please see the following request for proposals (RFP) for an event coordinator to plan our annual Fogarty Global Health Fellows Training Program Orientation in Bethesda, Maryland in summer 2019. Intent to bid must be submitted by November 20, 2018 with final bids due December 10, 2018. Please refer to the RFP for further details and contact information. Click on the photos below to learn more about each Fogarty Fellow!